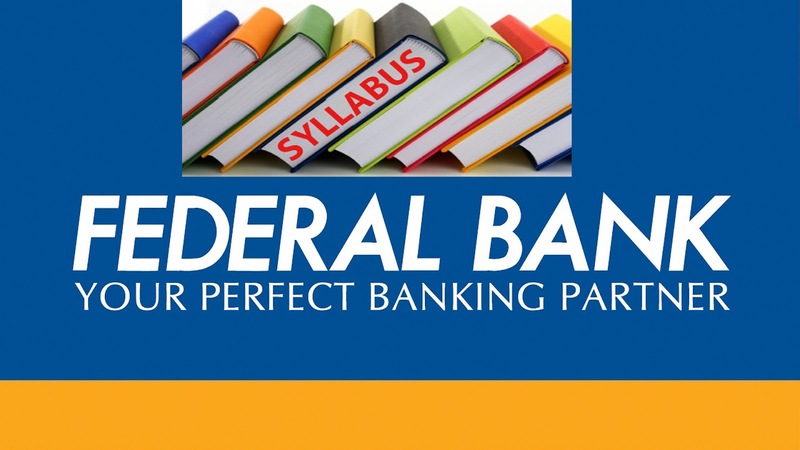 Download updated Federal Bank Syllabus Now!!! For Recruitment of Clerk/Officers, Examination is going to be conducted. Prepare for examination according to the Federal Bank Syllabus. All the candidates may get Federal Bank Syllabus and Clerk/Officers Exam Pattern in the form of PDF from below. It’s necessary to have good command on all topics that are given in Federal Bank Syllabus. In today’s era everyone wants to get banking sector job. There is a lot of competition in the society that it is very hard to achieve your dreams. Whenever a applicant thinks regarding the government sector job the first thing that come in mind is the preparation and to prepare for any exams syllabus plays a vital role. That is the reason we have given these information about the Federal Bank Syllabus on this web page. The candidates, who are preparing for the public sector job or we say for Clerk/Officers, they will definitely find this details useful. The exam conducted for the position includes the written exam and the interview procedure and the aspirants who get qualified in the written exam then gets shortlisted for the further interview procedure. To get success in the written exam it is Important to prepare well and to help you all it we have given the examination pattern and syllabus here. So now don’t waste your precious time and go through the below stated page as all the information about the Federal Bank Syllabus are well mentioned here by the dedicated team of our website. 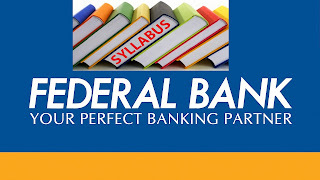 Federal Bank Officer & Clerk Syllabus ->> Candidates should go through the Federal Bank Clerk Syllabus and as well as for the officer syllabus, which is given below. Please have a look..!! Federal Bank Clerk Exam Pattern ->> Those aspirants who are going to appear in the Federal Bank Clerk Exam must check the Federal Bank exam pattern which is given below. Total number of subject is five which they have to be cover for qualify the clerk exam. Candidates have to complete their exam within 60 minutes and total number of questions will be 20 per subject except computer and digital banking. Please have a look..!! Federal Bank Officers Exam Pattern ->> We have given Federal Bank Officer Exam pattern; candidates need to go through it. Total number of questions will be 30 per subject except Digital banking and one mark for each question. Candidates are required to complete their Officers exam within given time limit that is 90 minutes. They can download the Federal Bank officers syllabus which is mention above. Preparation Tips ->> To crack the federal bank exam candidates need to go through the Preparation Tips that will be beneficial for them. Please have a look..!! You can download federal bank clerk exam model question paper PDF which is easily available on the Internet or Federal Bank Clerk Syllabus, which is given in above section.